Traveling? Renting a Car? Should You Buy the Insurance? So Many Questions! Renting a car can be a confusing process. The additional fees and services offered by car rental companies are often tacked on the bill followed by paragraphs of legalese. Supplemental liability insurance is one of these extra fees. While the name implies importance, it may be an unnecessary fee when renting a car. To determine whether you need supplemental liability insurance on your next car rental, start by assessing your current coverage. What is Supplemental Liability Insurance (SLP)? Most states require that rental car companies provide drivers with minimum levels of liability insurance during the rental period. Supplemental insurance provides additional coverage above the state minimums, up to $1 million in liability protection. For some drivers, this additional coverage is a great deal that can cover additional costs associated with an accident. For other drivers, this coverage is already included in other areas and duplicating this service through the rental company is a waste of money. Many credit card companies offer bonuses that customers are not using. Charge backs and reward points are often scrutinized and compared when searching for a new credit card but many cards also offer secondary rental insurance which consumers fail to use. Did You Call Your Insurer? Most drivers do not need supplemental liability insurance for the simple reason that they already have coverage under their current auto insurance. In addition to covering the driver while driving other people’s cars, rental cars are covered by basic auto insurance for the same deductible. Don’t Want to File a Claim? Even drivers who have primary automobile insurance may opt to use SLP to prevent their insurance rates from rising in the event of a rental car accident. Rental cars are notorious for being driven recklessly and drivers with a lead foot or those that are particularly harsh on rentals may not want rising rates over a couple of scratches. In this case, SLP is a good way to prevent extravagant bills for car damage without effecting insurance rates. While insured drivers may already carry supplemental liability insurance, drivers who do not own a car may find value in getting additional coverage during their rental period. Without the secondary coverage available from auto insurance, customers with expensive rental cars or valuable assets can protect their money by accepting the nominal daily charge for supplemental liability insurance. If you’re a non-car owner that travels frequently, the fees associated with SLP can add up fast. Consider contacting an auto insurance company to ask about liability coverage for drivers who do not own a car. Most policies cost less than $300 a year and will provide adequate coverage in case of accident without the additional cost of supplemental liability insurance. Supplemental liability insurance may not be a great deal, but for drivers with the right prerequisites, it can be a valuable addition to rental insurance. Being underinsured in an accident can have serious consequences. 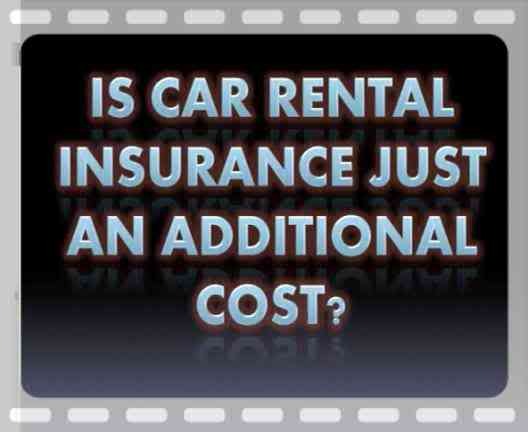 Make sure you understand your coverage before turning down supplemental insurance while renting a car. Parenting teenagers has never been more challenging. In addition to raising your teen to become a good person and a responsible adult, parents today need to help their teens navigate a variety of risks including drinking and drugs, social media, and the complexities inherent in friendships and romantic relationships. With all of these factors to worry about, it can be easy to forget that the biggest risk facing your teen is parked right outside of your house. Incredibly, traffic crashes are the number one cause of death for teenagers in America. 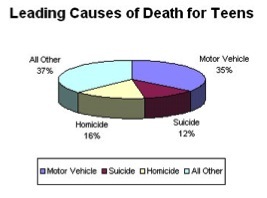 According to the National Highway Traffic Safety Administration (NHTSA), motor vehicle accidents are the cause of 35% of teen deaths every year, and mile for mile, teens are involved in three times as many fatal crashes as all other drivers. The takeaway? Make sure you are talking with your teen and setting expectations for their driving. Set Clear Rules: Make sure to let your teen know what your expectations are and explain the rationale behind them. Focus on Safety: Let them know that you are setting these rules to keep them safe and not simply to control them. Reward Good Behavior: If your teen follows your rules and maintains a good driving record, introduce new privileges (such as driving after dark). Be Supportive: Peer pressure is tough, and your teen may find themself getting pressured to engage in behavior that violates your rules. As a parent, you can make things easier by letting your teen’s friends know what the rules are and then acting as a scapegoat (“I can’t do that, my parents would ground me!”), or by establishing a code word with your teen (if they call and mention the word, come and pick them up right away and with no questions asked). Communicate: Communication is critical. Talk to your teen and make sure you know where they are going and why, how they plan to get there, and how they will get home. If you (or they) don’t feel confident that they have a plan in place to get safely there and back, offer a ride. Lead by Example: Even though teens might not admit it, parents really are important role models. Make sure that you practice safe driving. Don’t talk on your cell phone or text while driving, obey the speed limit, don’t drive if you’ve been drinking, and don’t drive aggressively. One of the best ways to clearly establish and communicate expectations is through the use of a Parent-Teen Driving Agreement. Use this template provided by the Centers for Disease Control or create your own. Either way, make sure your expectations are set out in writing, and then both you and your teen should sign the agreement. Having a clear set of expectations and communicating often about them are the best ways to keep your teen safe on the road. While shopping for insurance, whether for your home or business, you may have heard the term “property and casualty insurance” used by your agent or insurance representative. When looking at your quote or reviewing your issued policy, you will see lists of coverages such as “personal property” or “general liability”. These coverages fall under either Casualty or Property and make up the essential parts of your policy. Without these, there would be no coverage and no protection for your assets. You may find Property coverage more straightforward than its counterpart, Casualty. If you carry any insurance for your building, equipment, furnishings, or your home, car, or personal belongings, then you already have property coverage built into your policy. This coverage protects you against direct damages to your property by covering causes like fire, lightening, and wind. Property coverage can also apply to loss of income generating ability, as you would find in Business Income coverage. This applies specifically to your ability to generate income in the event of a covered accident or damage that prevents your business from operating. A few days or several weeks could cripple your business and result in closing without this type of property coverage. Casualty can be difficult to define but it typically refers to the liability coverage found in business and personal policies. The term casualty is not applied to Life, Health or Property policies where liability is not a factor. You will probably hear most often that casualty is insurance covering injury or property damage to others “for which you are legally liable”. In simpler terms, it is coverage for damages caused by you due to your negligence. Accidents happen both at home and on the job all the time which can result in injuries. A friend visiting your house could be seriously hurt because the deck you built collapsed. Or, a customer at your salon might slip-and-fall because of an unsecured mat and suffer serious fractures. These types of accidents are not anticipated but because of our potentially negligent acts, could result in thousands of dollars in medical bills and legal fees. If you own anything of value that you could not replace out-of-pocket in the unfortunate event of disaster, then chances are that you need Property and Casualty insurance. If you have ever been careless while driving, at home, or at your place of business, you need Property and Casualty insurance. For all the savings you may have or for all the planning you’ve done, nothing can prepare you for an unexpected event like a fire. The cost to repair and replace your belongings and cleanup the damage in the aftermath could total in the thousands. The best and most effective plan for protecting yourself and your family from financial crisis is insurance. Real estate markets in many parts of the country are heating up, with prices rising at a good clip. In many areas, it is a true seller’s market. So buyers should take heed of the various risks inherent in buying a home and should use sound risk management strategies before taking the plunge on an asset of such size. Here are some risk management and insurance tips to consider for your clients who are shopping for a home. Consider the financial risks by not overextending yourself when buying a home. A good rule of thumb is not to buy a home that costs over 2.5 times your annual salary. Many online calculators can assist you in determining the maximum price for a home you can afford. Consider the property and casualty risks. What are the key loss exposures to the home? For example, is the home in a flood zone? How far is it from the nearest fire department? Is it in an earthquake seismic zone 3 or 4? What is the condition of the home? If it is apparent the home has not been properly cared for by viewing surface level deficiencies, there is a good chance that deeper problems may eventually manifest themselves. Thus, the value of a good home inspector cannot be overemphasized. If it is an older home, when were the various systems upgraded? What types of losses have appeared on the Comprehensive Loss Underwriting Exchange report during the past 5 years? For example, a pattern of water losses may be a warning sign. According to The American Red Cross, the Internet—including online news sites and social media platforms—is the third-most popular way for Americans to gather emergency information and let their loved ones know they are safe. Through the use of everyday technology, individuals, families, responders and organizations can successfully prepare for, adapt to and recover from disruptions brought on by emergencies and/or disasters. With effective planning, it is possible to take advantage of technology before, during and after a crisis to communicate with loved ones and manage your financial affairs. Keep your contacts updated across all of your channels, including phone, email and social media. This will make it easy to reach out to the right people quickly to get information and supply updates. Consider creating a group list of your top contacts. Learn how to send updates via text and Internet from your mobile phone to your contacts and social channels in case voice communications are not available. Text messages and the Internet often work during a phone service disruption. Keep extra batteries for your phone in a safe place, or purchase a solar-powered or hand crank charger. These chargers are good emergency tools to keep your laptop and other small electronics working in the event of a power outage. If you own a car, purchase a car phone charger so you can charge your phone if you lose power at your home. In your cellphone, program some of your contacts as emergency contacts so that if you are unable to use your phone, emergency personnel can contact those people for you. Let your emergency contacts know that they are programmed into your phone, and inform them of any medical issues or other special needs you may have. If you have a traditional landline (non-broadband or Voice over Internet Protocol) phone, keep at least one non-cordless receiver in your home because it will work even if you lose power. If you are evacuated and have call forwarding on your home phone, forward your home phone number to your cellphone number. If you do not have a cellphone, keep a prepaid phone card to use if needed during or after a disaster. Prepare a family contact sheet. This should include at least one out-of-town contact who may be better able to reach family members in an emergency. Have a battery-powered or hand-cranked radio or television available (with spare batteries). Keep all phone calls brief. If you need to use a phone, try to convey only vital information to emergency personnel and/or family. If you are unsuccessful in completing a call using your cellphone, wait ten seconds before redialing to help reduce network congestion. Conserve your cellphone battery by reducing the brightness of your screen, placing your phone in airplane mode and closing apps you are not using that draw power, unless you need to use the phone. If you lose power, you can charge your cellphone in your car. Just be sure your car is in a well-ventilated place (that is, remove it from the garage) and do not go to your car until any danger has passed. You can also listen to your car radio for important news alerts. If you do not have a hands-free device in your car, stop driving or pull over to the side of the road before making a call. Do not text on a cellphone, talk or “tweet” without a hands-free device while driving. Immediately following a disaster, resist using your mobile device to stream videos, download music or videos or play video games, all of which can add to network congestion. Limiting use of these services can help potentially life-saving emergency calls get through to 911. For non-emergency communications, use text messaging, email or social media instead of making voice calls on your cellphone to avoid tying up voice networks. Data-based services like texts and emails are less likely to experience network congestion. You can also use social media to post your status to let family and friends know you are okay. In addition to Facebook and Twitter, you can use resources such as the American Red Cross’s Safe and Well program. Store your pet’s veterinary medical records documents online. Consider an information digital implant. Keep a current photo of your pet in your online kit to aid in identification if you are separated. Your family may not be together when disaster strikes, so it is important to plan in advance. Create an Emergency Information document or Family Communications plan to record how you will contact one another, how you will get back together and what you will do in different situations. Make sure to share this document with family members, friends and co-workers who will also need to access it in an emergency or crisis. When handling personal and sensitive information, always keep your data private and share it only with those who will need access in case of emergency. Sign up for direct deposit and electronic banking through your financial institution so you can access your payroll funds and make electronic payments regardless of location. Include these sites in your Emergency Information document to ensure that you can quickly access them from any computer or smartphone. Download the FEMA App to access disaster preparedness tips, build your personal emergency kit and look for open Disaster Recovery Centers along with open shelters (if you’re a disaster survivor). Also, stay informed with the FEMA blog. Local emergency management officials often have notification systems. Opt in to a distribution for your community. To find out if your community offers such services, contact your local office of Emergency Management. For your local emergency management agency, use Ready.gov’s State and Local Information page to locate your community’s direct information. Save your meeting locations on your phone’s mapping device. In addition to using your cellphone and other technology, tune into broadcast television and radio for important news alerts. If necessary, be sure that you know how to activate the closed captioning or video description on your television. Important: In an emergency, you still need to call 911 for help. Remember that you cannot currently text 911. If you are not experiencing an emergency, do not call 911. If your area offers 311 service or another information system, call that number for non-emergencies. In addition to insuring your home, we are committed to helping you and your loved ones stay safe when disaster strikes. If you would like more information on developing a family emergency plan or building a disaster supply kit, please contact Texas Associates Insurors at 512-328-7676 or http://www.txassoc.com today. Are You Prepared for Severe Thunderstorms? Every thunderstorm produces lightning, which is extremely dangerous. Though lightning fatalities have decreased over the past 30 years, lightning continues to be one of the top three storm-related killers in the United States. In 2010, there were 29 fatalities and 182 injuries from lightning. Although most lightning victims survive, people struck by lightning often report a variety of long-term, debilitating symptoms. Other associated dangers of thunderstorms include tornadoes, strong winds, hail and flash flooding. Flash flooding is responsible for more fatalities—more than 140 every year—than any other thunderstorm-associated hazard. Dry thunderstorms that do not produce rain that reaches the ground are most prevalent in the western United States. Falling raindrops evaporate, but lightning can still reach the ground and can start wildfires. Build an emergency kit and make a family communications plan. Get inside a home, building or hard top automobile (not a convertible). Although you may be injured if lightning strikes your car, you are much safer inside a vehicle than outside. Unplug any electronic equipment before the storm arrives. They may occur singly, in clusters or in lines. A single thunderstorm affecting one location for an extended time can be more severe than other storms. Thunderstorms typically produce heavy rain for a brief period, anywhere from 30 minutes to an hour. Warm, humid conditions are highly favorable for thunderstorm development. About 10 percent of thunderstorms are classified as severe; these storms generally produce hail at least an inch or larger in diameter and have winds of 58 miles per hour or higher. They can also produce tornadoes. Lightning’s unpredictability increases the risk to individuals and property. Lightning often strikes outside of heavy rain and may occur as far as 10 miles away from any rainfall. “Heat lightning” is actually lightning from a thunderstorm too far away for thunder to be heard. However, the storm may be moving in your direction. Most lightning deaths and injuries occur when people are caught outdoors in the summer months during the afternoon and evening. Your chances of being struck by lightning are estimated to be 1 in 600,000, but could be reduced even further by following safety precautions. Lightning strike victims carry no electrical charge and should be attended to immediately. Use a battery-operated National Oceanic and Atmospheric Administration (NOAA) Weather Radio for updates from local officials. Avoid contact with corded phones and devices, including those plugged into electrical outlets for recharging. Cordless and wireless phones not connected to wall outlets are safe to use. Avoid contact with electrical equipment or cords. Unplug appliances and other electrical items, such as computers, and turn off air conditioners. Power surges from lightning can cause serious damage. Avoid contact with plumbing. Do not wash your hands, do not take a shower, do not wash dishes and do not do laundry. Plumbing and bathroom fixtures can conduct electricity. Avoid natural lightning rods such as tall, isolated trees in open areas. Avoid hilltops, open fields, the beach and boats on the water. Avoid contact with anything metal, such as tractors, farm equipment, motorcycles, golf carts, golf clubs and bicycles. In a forest Seek shelter in a low area under a thick growth of small trees. In an open area Go to a low place such as a ravine or valley. Be alert for flash floods. On open water Get to land and find shelter immediately. Anywhere you feel your hair stand on end (which indicates that lightning is about to strike) Squat low to the ground on the balls of your feet. Place your hands over your ears and your head between your knees. Make yourself the smallest target possible and minimize your contact with the ground. DO NOT lie flat on the ground. Breathing – if breathing has stopped, begin mouth-to-mouth resuscitation. Heartbeat – if the heart has stopped, administer CPR. Pulse – if the victim has a pulse and is breathing, look for other possible injuries. Check for burns where the lightning entered and left the body. Be alert for nervous system damage, broken bones and loss of hearing and eyesight. Never drive through a flooded roadway. Water can damage your vehicle and poses a drowning hazard. In addition to insuring your home, Texas Associates Insurors is committed to helping you and your loved ones stay safe when disaster strikes. If you would like more information on developing a family emergency plan or building a disaster supply kit, please contact us at 512-328-7676 or http://www.txassoc.com today. Changing your car can seem like a daunting process with so many factors to take into account and countless options to consider before you find what’s right for you. While it may seem like a tricky task, a new addition to the family and the need for an extra seat or the unwelcome sound of a rattling engine can ensure it is a necessary change to make. 1) Requirements: – The first question you need to ask yourself when setting out to change your car is: “What do I need?” It might seem like a simple question, but there’s plenty of answers. Consider the location where you’re most likely to use your car. If you’re going to spend most of your driving time in the city, then there’s probably no need for a large 4×4 for off-road travel. Similarly, if you’re going to be doing a lot of country driving, a 1.2l hatchback may not be the mopst suitable choice of vehicle. Location can determine a lot but knowing how long you’ll need the car for, how many days a week you’ll need it, the average daily/weekly distance you’ll be travelling and the number of passengers you’ll have to carry are all determining factors that should get you thinking before you take a trip to the local dealership. 2) Budget: – Everything we own depends on our budget. From the size of our house to the shoes on our feet, spending depends on budget and changing your car or buying your first car is no different. Before you start browsing, be sure to know how much you can afford to spend on a new car – or if you can’t afford a new car, why not consider a second-hand car? Once you’ve settled on your budget, you can begin to consider your options, however the cost won’t end there. How much will your car insurance coverage cost? How many people will your car insurance cover? How much will it cost you to tax the vehicle? What about maintenance costs? The price of petrol/diesel? These are all financial factors you have to consider before you commit to a new car. It may require thinking ahead but it will be worth it in the long run. 3) Dependability: – Once you know what you need and what you can afford, you can start to look at reasonable options. Consult your local dealership or if your considering online car trade, source highly-rated classified ads sites and start from there. There will be thousands of options of both new and old cars that may fit your requirements and suit your budget, but there is one other factor to consider which can help whittle the mass down to a number of frontrunners. Dependability is something we all look for when making an investment. It’s a crucial part of the risk management process that helps you to assess the potential value of a decision. If you’re setting out to invest in a new car, you have to think about its dependability and how well the model serves both your requirements and your budget. If you’re after a car for country driving and long-distance travel, think about the mileage and how dependable your car will be after 6 months on the road. If you’re looking for something for recreational travel that you won’t use that often, why spend more than you need to on a car with low mileage? Other comparative factors such as handling, appearance and the motor condition of the car can help you narrow down your options. 4) Trade-in Vale: – The final thing to consider before you sign on the dotted line is the trade-in value of the car. 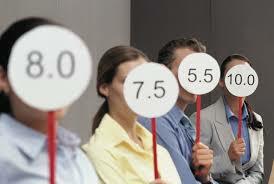 This comes back to assessing your requirements and what you need. How long are you planning to use the care for? 3 years? longer? Determining the potential use of the car can go a long way in helping you equate its trade-in value. If you want to buy a car that offers good trade-in value then the newer the model and the lower the mileage the better. Whereas, if you have little or no intention of trading the car and and maybe intend on passing it on to a friend or another family member or even selling it privately, trade-in potential shouldn’t be your biggest worry. While buying a new car can seem like quite a demanding venture, a comprehensive risk management strategy taking into consideration your requirements, budget, car dependability and its trade-in value can greatly help you make the right decision. Once you’re happy and you’ve settled on your chosen vehicle, you’ll have to think about car insurance and what sort of plan best suits you. If you’re considering upgrading your car and have a question about your car insurance policy, ask an expert for free. Home Insurance is something we are all encouraged to purchase, regardless of things like house size or location. Whether you’re building a house or have recently bought one, Home Insurance should be your number one priority so that you can ensure you and your family are protected ahead of all possible eventualities. Standard policies are readily available across what is considered a large market but finding the right policy that best suits you and your budget can often be a difficult task. The biggest demand is ensuring your policy covers everything you need. In light of this, we’ve compiled a list of some of the commonly excluded items that you might expect to appear on the Standard Home Insurance policy. Knowing what’s not covered will help you figure out what you should be looking for. Flood Insurance is something you’d imagine would be high up the list when it comes to provisions of the standard Home Insurance plan, however, Flood Insurance is often omitted and offered separately altogether. Depending on where you live – if your house is built next to a creek, river, lake or beside the shore – Flood Insurance may be an ‘absolute must’ or a ‘just in case’ element of your Home Insurance plan. For example, if you live in a flood plain (an areas at high risk for floods) you will be able to purchase Flood Insurance separately through the Federal Emergency Management Agency (FEMA). The maximum cost of Flood Insurance is $250k for your home and a further $100k for the contents within the home. While Insurers encourage tenants living in areas of high Flood Risk to make Flood Insurance a priority, it is also worth considering Flood Insurance if you live in urban areas, where weather can greatly increase Flood Risk potential. Most Insurance plans do not cover pest-infestations or the resulting damage. It is generally considered to be a part of Home Maintenance as opposed to a component of the Risk Management Strategy. Again, pest damage insurance might be considered a variant by insurers depending on house location, but the potential damage that infestation may do to the contents of your home makes it an important consideration of your overall Home Insurance plan.Insurance companies generally see these types of things as the homeowners’ responsibility to maintain, and don’t cover them in most cases. Most Home Insurance policies come with some liability protection for pet owners such as: if your dog were to bite someone and they decided to sue you as a result, you may be covered under your Home Insurance plan. However, if your pets were to do damage in the home, it is generally considered a maintenance issue and typically speaking, will be excluded from your Home Insurance coverage. While most standard Home Insurance policies will cover losses for Fire and weather risks such as Earthquake or Storm damage, lightening and powers surges are often excluded from your standard policy. If a power surge in your neighbourhood were to cause damage to any expensive appliances or electronics, you may find that you don’t have the coverage that you thought you did to replace or repair them. 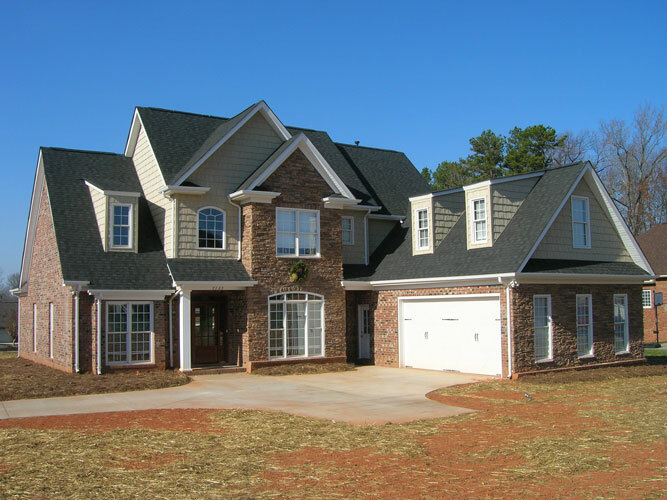 Finding the right kind of Home Insurance Policy may seem like an arduous process, but it is certainly worth while doing the research and knowing what your options are before committing to any one plan. Understanding what is not covered on your plan is an important part of the compare and contrast process. So whether you’ve just built a house or are planning to move, it is important to consult your Insurance provider and approach buying Home Insurance with a clear head. If you find yourself trembling at the thought of purchasing Home Insurance, talk to one of our experts who can give you the advice you need on what’s best for you and your family.